Are you an overseas student looking to study at UCC? 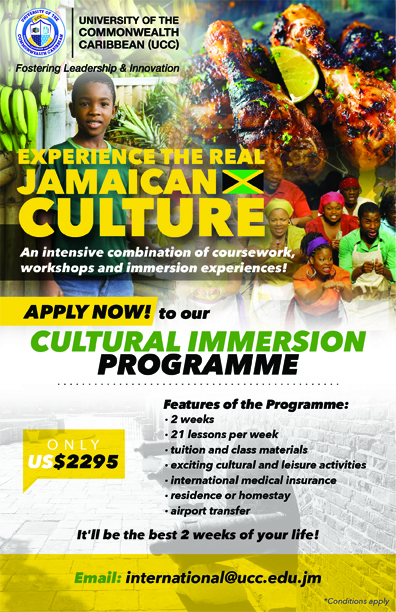 Or are you a UCC student looking for an opportunity to study abroad? 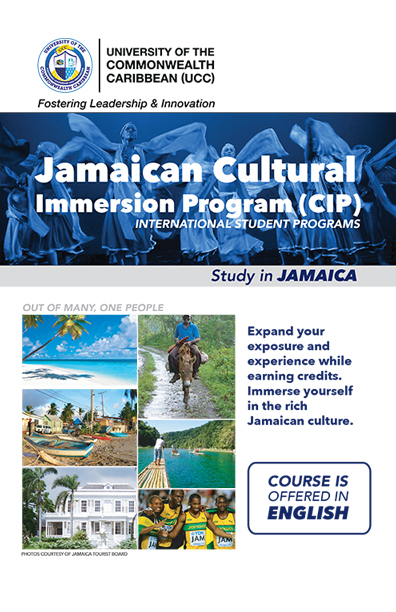 The University of the Commonwealth Caribbean Abroad and Exchange programmes enable students to experience studying in new cultures and in a new country. UCC is working with institutions around the world to increase the opportunities for local students to study overseas and for overseas students to experience life at UCC and become more rounded global citizens. University students overseas can apply to study for a semester or year at UCC in any of our undergraduate degree programmes. However, students must meet the pre-requisites. Study abroad students may take a minimum of 5 courses and a maximum of 6 courses per semester unless otherwise approved. UCC will issue a transcript upon the student’s completion of the semester abroad programme. 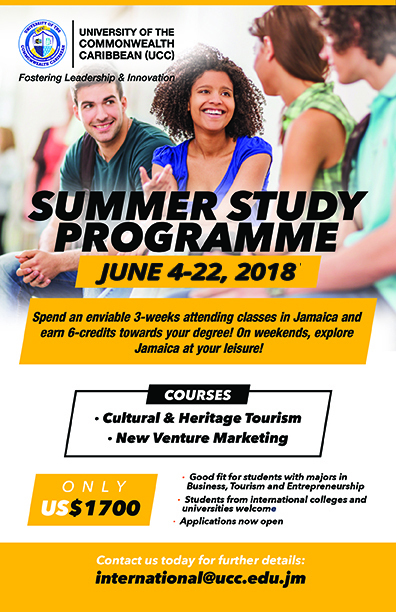 Students can study abroad for a semester (fall or spring) or a whole academic year through the academic programme partnerships which have been signed. UCC has exchange agreements with a growing list of exchange schools. These programmes allow for UCC students to enrol at the exchange university (host) as international exchange students and students from that university to enrol at UCC for a semester or a year. UCC students who are selected for semester or year abroad studies remain as fully-enrolled UCC students and are therefore required to pay their tuition fees to UCC at the required time. UCC students who have been selected for semester abroad studies are required to pay all non-tuition costs to the university they will be attending. Non-tuition costs include room and board, activity fees but will vary by location. Students will be responsible for any costs incurred by withdrawal from a study abroad programme. Some study abroad programmes offer their own scholarships. Students are encouraged to check the availability of these scholarships and their application deadlines which in some cases can be way in advance of the start date of semester study period.